Money changes the world, sometimes literally. In this day and age, the human race can build and move massive things, at incredible speeds. We have dug through mountains, redirected rivers, made new islands, and many other seemingly impossible things, and are not going to stop any time soon. But at the end of the day, a dollar amount is attached to absolutely everything. What is the one thing that can pave roads, pour concrete, link cables, and motivate workers? It’s money. Hundreds of billions of dollars are spent every year on construction costs; as the world gets bigger, more things need to be built. Here is a list of the 10 most costliest construction projects that have ever been completed in the history of mankind. The building costs have been adjusted for inflation, to reflect what they would have cost if they had been payed for today. In the list of the most costliest construction projects of the world, The Channel Tunnel comes on 10th number. This project is also named as the “Chunnel,” by French side of the project as this Channel Tunnel spans beneath the stretch of water between the Southern coast of England and the Northern coast of France. The 31 km long channel was started with a view to enhance commerce and trade between England and France. It cost fifteen French and British companies $22.4 billion to get it completed. And, the channel is operated by the financing group Eurotunnel. Though the initial estimated cost was less than the cost the project consumed. Some main reasons were Escalating demands for safety, security, and environmental measures. Tunnel boring machines began excavating for the projects in 1988. And, in 1994, the tunnel became functional. It was tragic enough that ten workers died in the construction phase. The Channel Tunnel comprises of three parts: two rail tunnels that are 25 feet in diameter each, and one service tunnel 16 feet in diameter. Each span 31 miles underground. There is a long tragic history of mishaps and misfortunes regarding this channel. There have been many fire incidents in the Channel Tunnel. These incidents caused not only severe injuries but took many lives as well. The construction of Big Dig was a nightmare because it was massive and will be made with a huge budget. The total estimated cost of this project costs almost $23.1 billion. It was made to join different highway routes of the Boston area. It has to face many problems including financial and technology and during its construction 1 worker has lost his life. It has faced many obstacles during the construction period and was completed in the period of 10 years. Japanese Kansai International Airport is 8th in the list of the most costliest construction projects of the world. 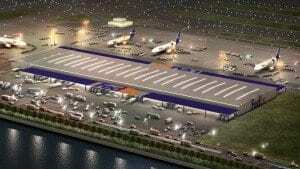 The airport cost an estimated $29 billion to construct. The airport is constructed on an artificial island, which was constructed to resist the semi-frequent earthquake and tidal waves of the region. The second reason for building it in the water was to avoid noise illnesses. The idea behind its construction was that Kobe and Osaka were losing trade to Tokyo. In this condition plans for the airport were introduced in the 1960’s. Metal support columns and other structural pieces have had to be added to it over the years, in order to prevent it from sinking. A second terminal was added in 2012, and connected to Terminal 1 via a free shuttle. It is located off Japan, in the middle of Osaka Bay. The seventh most costliest construction project of the world is California High Speed Rail. Its estimated cost is 33 Billion US Dollars. This project was started in 2015 and scheduled to be done with Phase 1 by 2029. 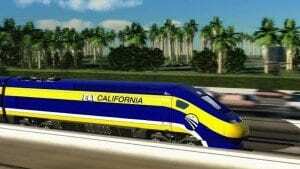 The California High-Speed Rail project is already way over its original budget. The basic purpose of this project (one of the most expensive in the world, under Obama’s vision) was to connect some of the major US cities by high-speed rail. According to the schedule, the initial segment will connect Merced to Bakersfield. Ultimately, it will link San Francisco and Los Angeles. The rails in this project will be able to achieve a speed up to 220 miles per hour interlinking different states of America. 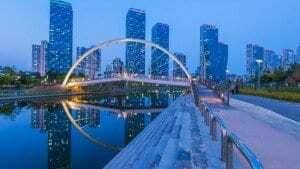 Among the most costliest projects of the world Songdo International Business District stands 6th in the list. South Korea has launched this project near Incheon International Airport. Its estimated cost price is $40 billion. The project is being built on land reclaimed from the ocean off of Seoul, South Korea. It will be a “smart city” like no other, complete with automatic recycling plants ubiquitous WiFi, and many other technological innovations. Korea is the first country to present this model in the world. Some models of landmarks from other cities will be built there, including one of Central Park. According to blue prints it will have a small island full of various birds, rabbits, and deer that roam around. Songdo IBD is being built to attract businesses and tourists. China is also in follow up of this project but still with vague blue prints. 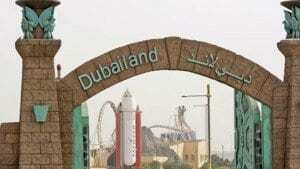 Dubailand is the 5th project in the list of the most Costliest projects of the world. Design aspects of Dubailand is based on Arabian Folklore, specifically the tale ALAF LAILA Wa LAILA (One Thousand and One Nights). The project with an estimated cost of $76 Billion was started enthusiastically but its construction was halted in 2008, because of a financial crisis in Dubai. It resumed in 2013. When it will get finished, it will be one of the largest and most expensive entertainment facilities in the world. A Disney theme park, IMAX theater, and many other attractions are in its plans. The impetus behind the project was that some thought Dubai needed a major attraction that was geared towards families, to compete with other cities in the region for tourism. Dubai wanted to make its repute other than trade domain as well. King Abdullah economic City project is one of the most Costliest projects of the world. It stands 4th in the list. Still it is not finished. 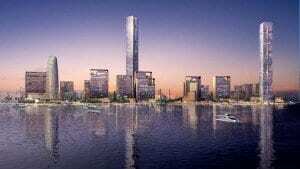 When finished, the King Abdullah Economic City will be have an estimated cost of $86 billion. Located a little over an hour away from Makkah, the project city is certain to become a grand new tourist attraction for Saudi Arabia. The city will include entertainment centers, high class hotels, many luxury villas, some significant universities, and a massive airport. The King Abdullah economic City is mostly being built by international real estate group Emaar Properties. The group is well known for building the world’s tallest building, the Burj al Khalifa, in Dubai. Another company Ericsson will be working on the information and communication technology. 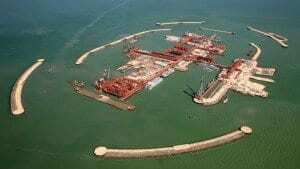 The 3rd most Costliest construction project of the world is kashagan fields. $116 billion has been spent on fixing it.  It is a multinational project. The companies involved in it are: Total, Shell, Exxon Mobil, China National Petroleum Corp, INPEX KazMunaiGas, and AgipKCO, with Shell responsible for the production phase. It is an oil extracting project launched in the Caspian Sea. The Kashagan Fields represent the largest oil discovery made in the last 40 years. It is expected to produce more than 90,000 barrels of oil per day after 2018. Some unexpected troubles caused the project to get a little bit late like leaks in its pipes. The other main difficulty to delay it was that the fields are under high pressure, which makes drilling into them very hazardous at large. Apart from all these obstacles the project is now operational. The modular orbiting research station known as the International Space Station cost approximately $150 billion to complete. That figure may seem staggering, but keep in mind that many countries split the tab. The nations responsible for putting together the ISS were the US, Russia, Canada, Japan, Belgium, Denmark, France, Germany, Italy, the Netherlands, Norway, Spain, Sweden, and Switzerland. 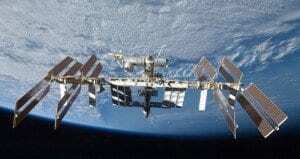 Ever wonder what is going to eventually happen to the ISS? The plan right now is that it will be crashed into the ocean, in the year 2020. That will be after 26 years of service. Russian rockets and the Space Shuttle were the main tools used for making the ISS. Each module was built on Earth, then they were assembled in space. The station was not inhabited until two years into construction, when the Russian module Zvezda was added, which contained the necessary pressurization equipment and sleeping quarters. While we go to look for the most Costliest construction project of the world. 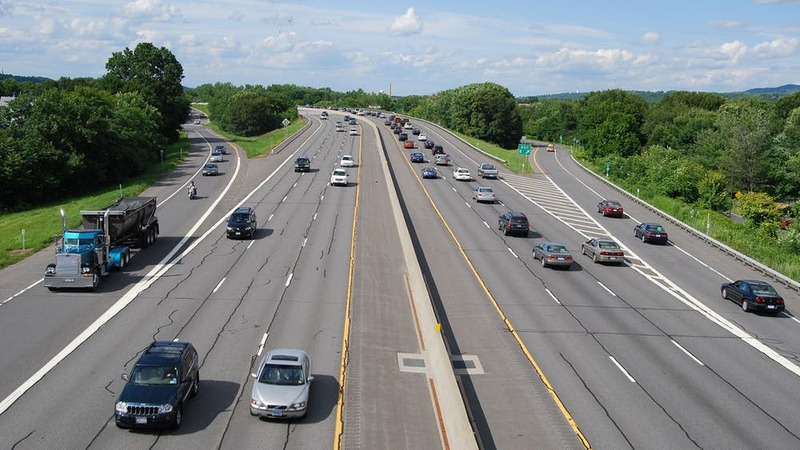 We find that it is The Us Interstate Highway System. This project costed America $459 billion. It is the most expensive project of the world in the known human history. The President Dwight D. Eisenhower initiated it with the idea that it would help mobilize infantry in an emergency. He proposed the project as being crucial for national defense. Its basic purpose was not transportation. The project was initiated in 1956. This most expensive project of the world involved creating new routes, and converting old routs to serve as “interstates or interlinkers among American states.” Nebraska was the first state to complete all of its internal parts for the Interstate Highway System in 1974. The project was given the final touch in 1992, the I-70 through Colorado. This most Costliest construction project has paid back to America many times than its cost price. The road web was very helpful while the hurricane Katrina was devastating everything.